Home Pest Control Sacramento: How Are Mice Entering Your Home? 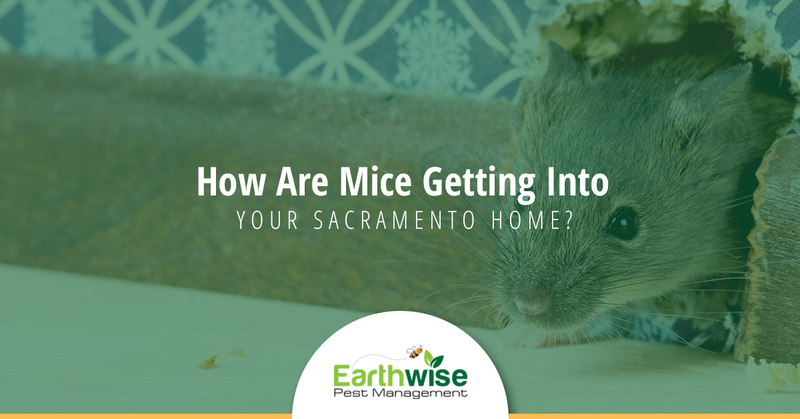 How Are Mice Getting Into Your Sacramento Home? When we think about having mice in our home, we often only really think about the scurrying on our floors and through our walls as we sleep. However, did you ever think about how those mice get into your home in the first place? Rodents are very sneaky and can enter your home in a number of ways. In fact, many of the ways that rodents use to get into your house you probably would never even anticipate. If you want to prevent mice from entering your home, check out the most common ways they will find their way into your space so you can prevent it from the get-go. When you have an air conditioner in your home, there is ductwork that leads from the interior to the outdoors. These vents may possibly have a screen in place that is supposed to prevent the ductwork from becoming clogged. However, a screen doesn’t hold up very well against rodents as they can easily chew through them. This then makes it incredibly easy for the rodent to crawl into the ductwork and enter your home. Check often to make sure your screen is still intact. Most homeowners who have a pet door will take the precaution of locking their doors at night so that burglars are not able to enter the house. However, while a person may not be able to fit through your pet door, rodents can easily enter this way. If you have a rodent problem in your home, it could actually be due to your pet door. If this is the case, you might want to consider moving where your pet door is located. Moving it a couple of inches up from the ground could assist in getting rid of your rodent problem. When the weather is extreme (either hot or cold) rodents will often seek shelter in places that do not have a lot of traffic and that also have plenty of locations for them to hide. This is precisely why so many mice are found in garages. Your garage door truly only has to be open for a few seconds or left barely cracked for a rodent to enter. With this said, try to keep your garage door shut as often as possible. Additionally, we would suggest that you place traps in your garage to protect against the ambitious mouse who might make a quick entry into your home through your garage. If you want to ensure that mice are not entering your home, your local Sacramento pest control company can assist you. We know how to identify if you are dealing with a mouse problem and how to get rid of them both now and in the future. Contact us today to learn more about our rodent control services. We have the experience, the talent, and the knowledge to ensure that you no longer have to worry about mice crawling through your walls and cupboards so that you can be truly comfortable in your home.